I’ve been a huge fan of This American Life for few years and have recently converted D into a faithful listener as well. Ira Glass is at the top of my list of people I would love to meet. We were fascinated by the information in two recent episodes about our health care industry. I think regardless of where you fall on this health care debate, these two shows would be really beneficial to hear. 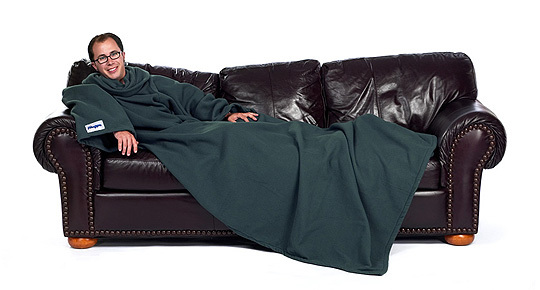 The Slanket! I am totally adding this to my Christmas list. D thinks it is ridiculous but I think it is totally practical. Now I just need to pick a color.